Retina is the neurosensory layer of the eye which is present inside and at the back of the eye. It is on this layer that an image seen by the eye is formed, which is converted to nerve signals and transferred to the brain. Hence person with a normal eye but with a retina disease will have poor vision. 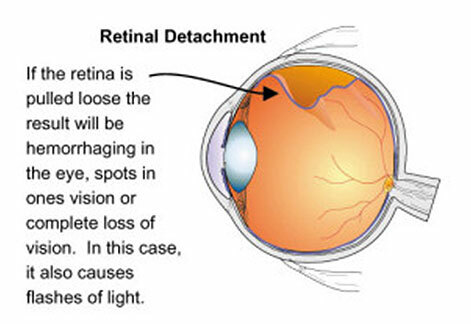 Retinal detachment (RD) is a disorder of the eye in which the retina peels away from its underlying layer of support tissue and can lead to vision loss and blindness. It is a medical emergency. RD can occur due to a hole, tear, or break in the retina or inflammation and trauma. At Drishti Eye Institute Hospital we perform advanced retinal surgeries (with 25 Gauge Micro Incision Vitrectomy Surgery (MIVS) instruments and Alcon Constellation Vision System.) to do achieve good postoperative results in patients. 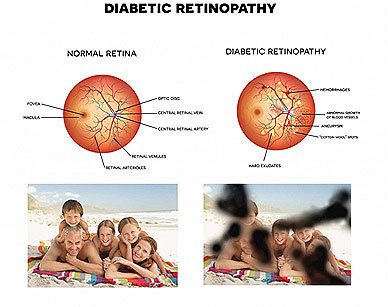 Diabetic retinopathy (DR) is a common vascular retinal disease affecting about 40% of type 1 diabetics and 20% of type 2 diabetics. Duration of the diabetes is the most important risk factor for DR . Treatment for DR includes Laser photocoagulation, Intra ocular injections (Avastin) and Surgical Treatment. Surgery is done with 25 Gauge Micro Incision Vitrectomy Surgery (MIVS) instruments and Alcon Constellation Vision System. 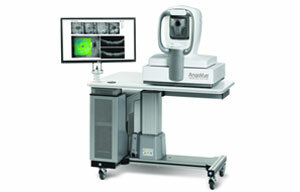 Instruments available include Topcon Digital fundus camera, Fundus flurosescein angiography (FFA-where a fluorescent dye is injected into the vein followed by taking a series of photographs of the retina), Optical Coherence Tomography (OCT), B-scan. Retinal detachment (RD) is a disorder of the eye in which the retina peels away from its underlying layer of support tissue and can lead to vision loss and blindness. It is a medical emergency. 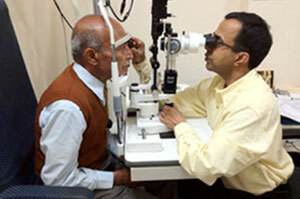 RD can occur due to a hole, tear, or break in the retina or inflammation and trauma. At Drishti Eye Institute Hospital we perform advanced retinal surgeries (with 25 Gauge Micro Incision Vitrectomy Surgery (MIVS) instruments and Alcon Constellation Vision System.) to do achieve good postoperative results in patients. Age-related macular degeneration (ARMD) is the most common cause of irreversible vision loss in people over age of 60 years. Retina is the seeing tissue of the eye. When the focused light hits the retina, a picture is taken. The retina has two parts: The peripheral retina and central part called macula. This is the only part of the retina capable of producing a sharp and crisp image, which enables us to read, write, watch television and drive. 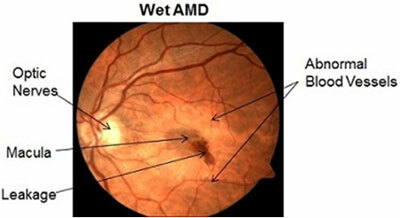 There are two main types of macular degeneration, "dry" and "wet". 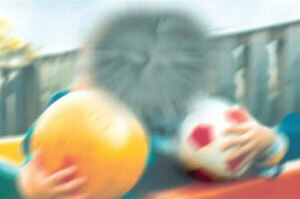 This is the most common type of age related macular degeneration. 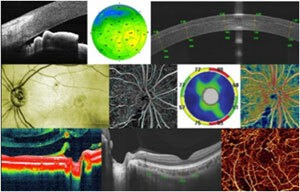 The round deposits called drusen (degenerated material) appear beneath the retina. A few small drusen cause no decrease in vision. However, if any large drusen develop, vision may be decreased. 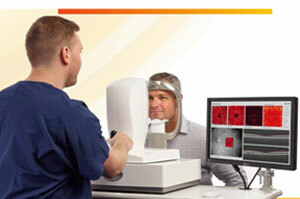 The dry type of macular degeneration presents with a slow, progressive loss of vision. In this type the vision remains stable and good for a longer period of time. Unfortunately there is no treatment for dry age related macular degeneration. In this type, abnormal blood vessels grow beneath the macula, they leak and bleed. 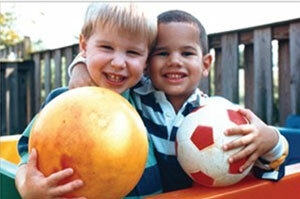 The "wet" form of macular degeneration can cause more severe visual loss. Vision may suddenly become distorted or blurred.